Promotional inflatable beach balls are a fun, lightweight and cost effective way of promoting your brand or event over the summer months. These printed inflatable beach balls can be screen printed up to 6 colours to multiple panels, or a full surface printed wrap. They can be designed as an inflatable globe, Pantone matched and made from just 15cm to 60cm in size. They can be a fun summer activity when thrown around at a festival or given out at an exhibition for point of sale purposes. 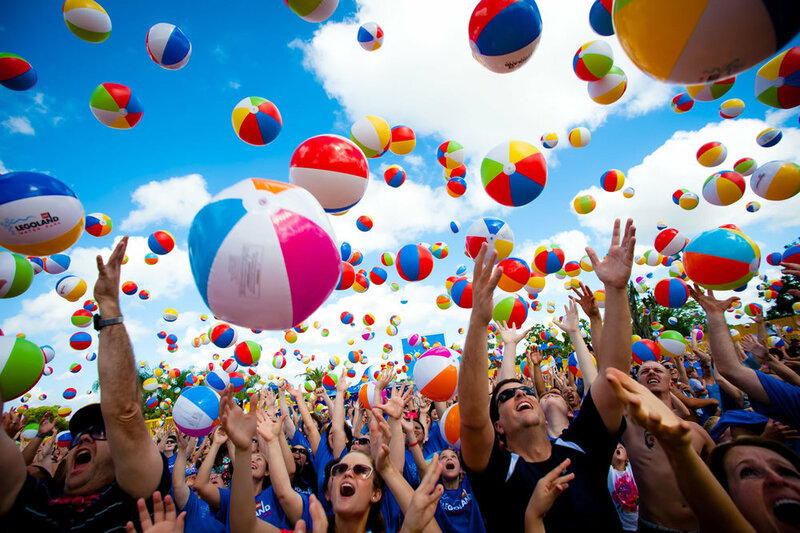 Branded Inflatable Beach balls can also have opaque or clear panels and can contain other smaller inflatables, confetti or glitter. Printing your own brand or logo onto inflatable balls is a perfect way to promote a huge event meeting tight budget requirements.